You’ve spent months trawling through website templates, and you’re sure you’ve found the one for you. Whether it’s for your booming online business or your casual personal blog one of the most important aspects when it comes to websites is ensuring you’ve chosen the best website design. 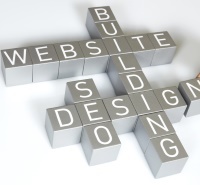 Web designs can either make or break a website and that’s why it is so crucial. Read on, for the best of what to avoid once you’ve chosen which website builder and design template to use. When you’re ready, you’re ready! You wouldn’t expect a shop to put the Open sign on the door unless it had something to sell, right? So don’t make the same mistake with your website. Make sure your design is ready to go, before you start posting links excitedly to your Brand New...Nothing. In this generation of tablets and smartphones which function too many in place of the traditional desktop or laptop computer, responsiveness is key. Yes, there are sites out there that do not make life easy on us poor internet users. We want your website template to automatically change to fit our screens, handheld or otherwise! If You aren’t providing an app, make sure that your website builder allows for responsive web design, or your visitors won’t hang around long. 3. Are you a ‘Browserist’? Don’t judge a visitor by their browser! Website templates should function equally well regardless of which browser the user is attempting to enter the website from. Make sure your website is compatible with all browsers. These days, this extends to mobile applications too. Advertisements are a fact of life in this generation, and it’s rare to find an ad free site, especially with so much being given for free in this age of information and social media. However, some adverts sit nicely on the page, and can be glanced at or ignored by the user, while others blind us with garish music or annoying pop ups, making us eager to get as far away from the website as we can. Ads contribute to essential income, and this can’t be denied, especially if you’re using free web hosting but try to make the ad not look like an ad, and create a uniform design requirement for all ads on your site. Nothing more frustrating than not being able to find what you’re looking for because of bad website design, especially when you know it’s there! As well as good links to various sections of your website, make sure the search tool is operating correctly, as well as offering some suggestions for the bad spellers amongst us! If a visitor arrives at your website, they should be able to find the information they are looking for with ease. It takes so little to make a visitor return to the search page to stray elsewhere! Always include an “about us” and “contact us” page to ensure that visitors know who you are, what you do, and who to contact for more information. 7. Use your website template to full effect; don’t fall into disorganization! Disorganization is chaos, and a chaotic website equals a frustrated user who will go elsewhere. Your website traffic depends on repeat visitors, and no one will be bookmarking a website for future use that gives them a headache! Keep everything simple to read in easy to swallow paragraphs and try not to make it look so busy. The user entered your website because they want to learn something interesting and valuable, but what they’re getting is useless, poorly written information that’s not even relevant. Users won’t read everything but their eyes will skim the pages for relevant and useful information. If it isn’t there, or if it’s hidden under meaningless jargon, they won’t find it. Have you ever visited a website and the first thing you noticed was how bad the design is? A bad design will actually make somebody want to leave the website before looking at the content. It’s important to have a nice homepage but don’t neglect the rest of the website too, make sure that your other pages have plenty to keep people interested. This could include witty catchphrases, informative video content, or simply a pretty design which is pleasing to look at. Once they’re hooked, reel them in with your winning content. Most users will hang around on a home page for seconds before moving on. In those initial moments, they are scanning the page to see if they are interested in giving you more time. You wouldn’t start any other work project without a plan, and a website is no different. Make sure you’ve made a site map of where you want visitors to end up, and how to get them there. Don’t forget, every page should link back to the home page for when a visitor gets side-tracked.